This photograph is provided by Stuart Jackson and shows Kimberley within the Carnarvon Heritage Precinct on 26 July 2003. 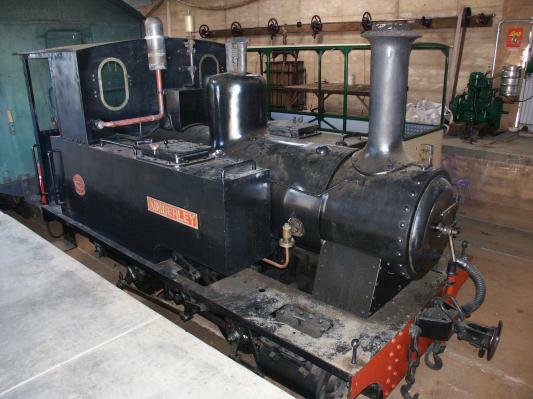 This locomotive was built by Andrew Barclay Sons & Co of Kilmarnock, Scotland (builder's no. 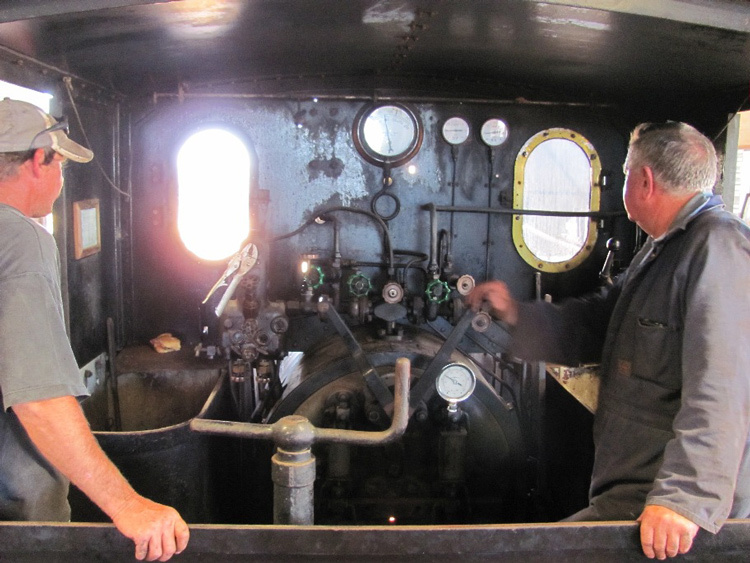 1755 of 1921) and worked on the Carnarvon jetty railway. The Carnarvon jetty famously extends for a mile out into the bay and was served by a significant tramway which linked the pier to the town. On retirement, Kimberley was initially plinthed in a local kindergarten playground. 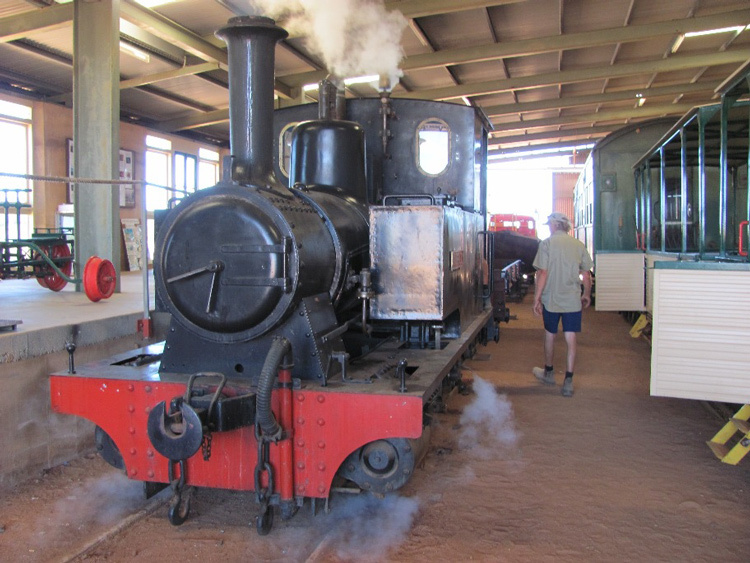 Kimberley has since been restored to operation by the Carnarvon Light Railway Association and now operates regular tourist shuttles on the jetty. 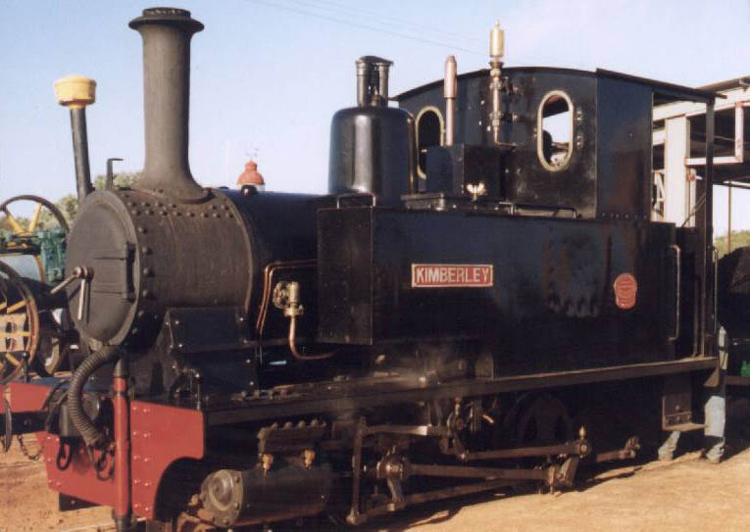 An undated view of Kimberley in steam at Carnarvon. This view is kindly provided by Sue Graham of the Carnarvon Heritage Group Inc. This photo shows Kimberley in steam at Carnarvon on 17 November 2009. The scene in Kimberley's cab on 17 November 2009.
a Information provided by Sue Graham via email dated 5 September 2011.
b Webmaster's observation or comment.